Sumayyah Dawud is a close, dear friend of mine, who I was fortunate enough to meet last year during my Islamic studies. I say fortunate enough, because she’s one of those people you meet every now and again who just has that wow factor. Not just because she is a lovely, friendly person, but also because of her beliefs. her passion for activism, humanitarian work in the causes she believes in and the strength of character she exhibits on a daily basis, just to be her and live her life. Sumayyah emailed me recently, saying she had been excluded from praying at her local mosque because of the mosque leaders interpretation of the Quran on the subject of being transgender and muslim. This interpretation resulted in them issuing a “fatwa”, which not only stopped her attending prayers, isolating her and preventing access to study material, but which effectively lifted her niqaab and outed her to the local community. Obviously, there are many things about this which are plain wrong and wholly unacceptable, not just from a human compassion perspective, but also from a transphobia one too. Curiously, the ruling doesn’t make total sense from Islamic perspective either. Let me explain……. 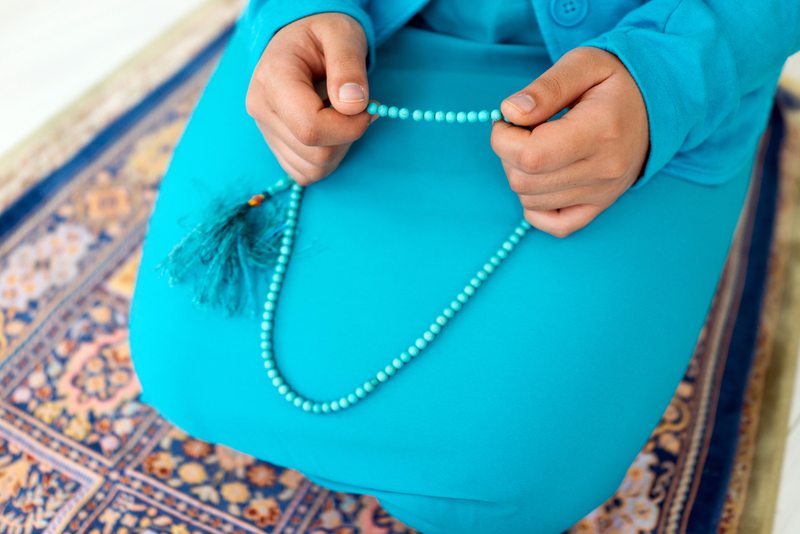 Sumayyah had already been praying and supporting the work of the mosque for a number of years, when she was asked suddenly to provide evidence of her gender. She duly did this, on the express understanding that this “proof of gender” would not be distributed to the wider committee members, but would inform “a sponsor” on the committee of her status, allowing them to convince others. Then, there is the subject of the interpretation to consider. Last year, when I asked to study at my local mosque, Khalil simply said “all we ask is that you respect our traditions and apply yourself respectfully, dutifully and honestly as muslimah. We in return will do the same and support you” It was a simple, 5 minute conversation and even though my studies have since ended, the respect I have for the way I was welcomed and treated and debt I owe friends like Khalil, Sumayyah and Amanda for their acceptance and support of me is one I will always remember. As Sumayyah said herself. Joanna is a dear friend of mine whom I met after knowing our friend Amanda. 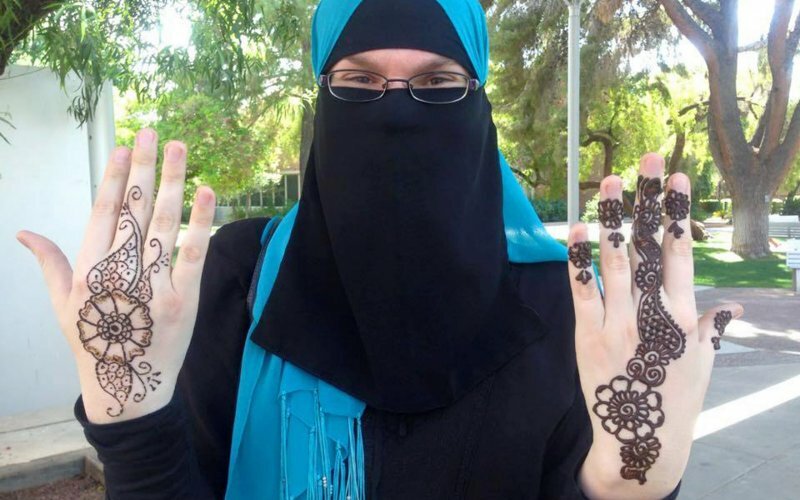 (Amanda converted to Islam here in Phoenix and has had significant involvement with our Muslim community) Joanna has explored Islam and enjoys wearing the niqaab which is something Amanda and I also wear as well. We find the niqaab valuable and important in protecting our modesty as females, strengthening our relationship and closeness to Allah (swt), and providing a positive contribution to Islamic identity. Joanna and Amanda have been and continue to be a great source of support for me and I cherish our friendships very much. “A mukhannath is the one (“male”) who carries in his movements, in his appearance and in his language the characteristics of a woman. (Khuntha, a separate term, is usually taken to mean of both genders) There are two types; the first is the one in whom these characteristics are innate, he did not put them on by himself, and therein is no guilt, no blame and no shame, as long as he does not perform any (illicit) act or exploit it for money (prostitution etc.). The second type acts like a woman out of immoral purposes and he is the sinner and blameworthy.”. As early as 1988, gender reassignment surgery was declared acceptable under Islamic law by scholars at Egypt’s Al-Azhar, the world’s oldest Islamic university. In Iran, in 1987, Ayatollah Khomeini declared transgender surgical operations allowable….. Although this passage is more usually interpreted as affirming the rights of women within Islam and specifically in marriage. Some liberal scholars have chosen to interpret “garment” literally as meaning clothing, rather than as “protection”. They also point to texts such as the collection on wikiislam that you can find here, which, depending upon your interpretation of the word “garment” or “robe” could be taken to allow cross-dressing. So why, given these , as well as other interpretations by more liberal scholars would the ICC Tempe Mosque leaders apparently ignore them, openly debate and share Sumayyahs gender and then perhaps most confusingly, withdraw their initial “transgender policy” and ruling after publicising it on their website ? Curious, I decided to ring the mosque to speak to someone on this issue. To date, I have tried four times and still not been able to speak to someone directly who can provide any clarification. I’ve spoken to several people who have politely referred me to people who would be in later, or would take a message, but as yet no-one has responded. Having received no answer, I have since written to the mosque on behalf of the transgender charity I support here in the UK and sincerely hope they respond with compassion, reason and a genuine apology, offering a sensible way through this, rather than silence. Sadly, it is rare that an openly LGBT Muslim would feel welcome at a mainstream mosque. Cultural norms and the usual, traditional readings of sacred texts often uphold the gender binary as well as traditional views of sexual orientation that don’t allow for the range of identities that we now know exist. Many transgender Muslims even after surgery will suffer rejection, socially and culturally, as well as verbal and physical violence if discovered. There’s no need for this – pure and simple. It’s easy when you think about it and you don’t have to think too hard. Sumayyah having reverted in 2013 had all aspects of her past life washed away by Allah (swt). Within Islam, only Allah (swt) can do this and offer judgement over her. In his eyes, Sumayyah is a woman and muslim and that ought to be that. For her part (as you would expect from her) Sumayyah continues to pray and follow Islam outside of the mosque as best she can and remains open to the possibility of reconciliation. She also continues to support many wider community interest projects. Me ? I’m just proud to know her and call her my friend. I’m giving my problems anonymously so I’m 2 things I’m going to say . I’m a Muslim girl 22 years old and I fell in love with a trans Muslim convert man and we’ve been together for 5 years and we have recently broke up and he says he has too many things on his mind for a relationship so what do I ? . And the 2nd thing on my mind is I dropped out of college and have been depressed ever since I want to go back but idk I have dyscauclia its a math learning disability . Any anonymous advice Joanna? Hi sweety, would you like me to email you ? So we can discuss more privately ? Thank you for your comment and please accept my apologies for the late reply – been a vey busy month or so! I’d love to chat about my experiences – would you like to do it in this forum?